The predecessor of College of Chemical Engineering is the Department of Chemical Engineering in Tsinghua University, which was merged into Beijing Petroleum College and renamed Department of Refining in 1953. 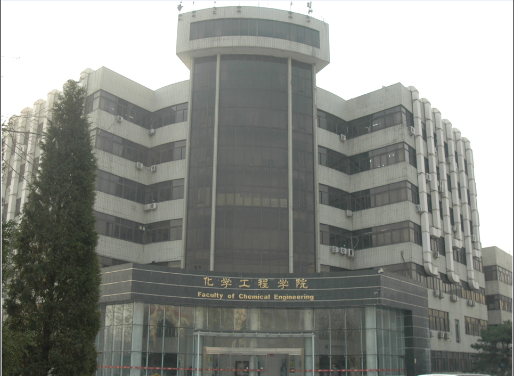 In 2003, Department of Chemical Science and Engineering in China University of Petroleum was founded which evolved to College of Chemical Engineering in 2010. In 2018, it was renamed as College of Chemical Engineering and Environment. College of Chemical Engineering and Environment features subjects related to petroleum processing. With a history of 65 years, the college has about 111 faculty members with 4 Youth Foundation winners, 1 chief scientists of 973 Project, 45 PhD supervisors, 54 Master supervisors, 37 professors and 54 associate professors. The college currently offers 4 Bachelor programs (Chemical Engineering and Technology, Environmental Engineering, Environmental Science, Energy Chemical Engineering), 5 Master programs (MSc Program of Chemical Engineering and Technology, MSc Environmental Science, MSc Program of Environmental Engineering, MEng Program of Chemical Engineering, MEng Program of Environmental Engineering), 1 Doctoral programs (Chemical Engineering and Technology and ) and 1 Postdoctoral Research Station. Among them Chemical Technology is a State Key Subject and Industrial Catalysis is a State Key Subject to Cultivate. The college has a State Key Laboratory of Heavy Oil Processing, three Joint Research Institutes for Catalysis, Environmental Engineering, Hydrocarbon Reservoir Phase State together with China National Petroleum Corporation (CNPC), two Research Centers of the Ministry of Education for Oil and Gas Processing Engineering and Multiphase Flow Separation Engineering, one Beijing key laboratory of Oil and Gas Pollution Prevention, and also has good cooperation with main enterprises. All of these provide a good environment for the improvement of research level and discipline structure. Our main target is to foster the students with comprehensive professional essentials and to be qualified engineers. At present, the college has one primary disciplines which is Chemical Engineering, and one Postdoctoral research station: Chemical Engineering and Technology. We offer four-year undergraduate courses for B.Sc. in four majors: Chemical Engineering and Technology, Environmental Engineering, Environmental Science, Energy Chemical Engineering. We have over 1248 registered undergraduate students and 838 postgraduate students, among them 660 M.Sc. and 178 Ph. D. The Department now also admits graduate students for M.Eng degree to satisfy the development requirements of national economy and the petrochemical industry. The College insists that scientific research activities must meet the national needs and also highly values the theoretical research and practical applications. In recent years, we have received 3 National Science and Technology Progress awards, 1 Natural Science award by the Ministry of Education, and over 30 Science and Technology Progress awards at Ministry and Provincial level. Besides, there are 208 patents . Our research results have also been widely commercialized. Over 100 peer reviewed papers have been published annually. In 2003, we are so proud to have one paper published in one of the world top journals " Science". The college has many outstanding alumni such as the national leaders Yi Wu and Yizhong Li and the academician such as Guohe Sha, Xieqing Wang, Guozhong He, Mingxian Shi. We are confronted with new opportunities and challenges in 21st century. Inspired by the college culture "Cooperation, Devotion, Truthfulness and Innovation", we believe that we will finally become a world-class institute in Chemical Engineering.